Last week, everything was clicking. 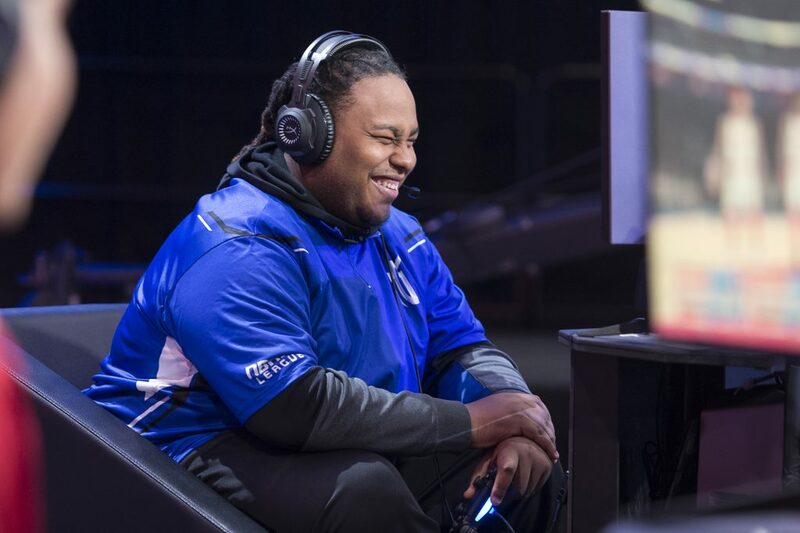 The new lineup was coming together and Mavs Gaming just beat a trash talking Pistons team by 35 points. Everyone came back to Dallas on a high note. Wash, rinse, repeat and the Mavericks were headed to New York to face a 3-4 Wizards team. For Dallas, everything carried over to start the game. Dallas sprinted out of the gates and took a 19-10 lead into the second quarter. The combination of Dimez and Dayfri would continue to dominate as they scored a combined 25 points in the first half. Here are a few highlights from the first half! The second half is underway! Mavs Gaming led 39-31 at the half. Then it all unfolded. “We came out entirely too flat in the third,” Edwards said. “Terrible third quarter,” Dayfri added. Mavs Gaming would score just 12 points in the quarter. The Wizards would score 27 points in the quarter, just four points shy of their entire point total of the first half. It was a blow that Mavs Gaming never completely recovered from. “We needed to get it inside more and we just didn’t do a good job of executing that,” Edwards said. “We were prepared, we just didn’t execute the right way.” What started off as an eight point lead, the margin totally flipped as Mavs Gaming went into the fourth losing by nine points. Dallas would make it a two possession game in the fourth, but could never get over the hump. They would lose to the Wizards 65-72. The team rebounded quite well, but a crippling stat for the sharpshooting Mavs team was their three point shooting. Dallas would finish the game making just one three pointer.The coaching staff credited the defense of the Wizards because of their tight on-ball defense on the perimeter. This is a gameplan of opposing teams as Dallas is one of the better shooting teams in the league. “Everybody knows we are the best three point shooting team,” Dimez said. Even though they only made one in the game, they only attempted six as a team. And four of them came from Dimez. The two-man game between Dayfri and Dimez made their presence known as they combined for 47 of the team’s 65 points. Dimez also added 15 assists. But they could never get a third guy going, in particular, HazzaUK2K. “I was a mess offensively and defensively,” HazzaUK2K said of his performance. HazzaUK2K manned the middle for Dallas and finished with nine points on 4/15 shooting. Not only did HazzaUK2K just start playing the game in January, but he was just recently thrusted into the starting lineup as he started the season as the sixth man. And Edwards believes that is a factor because he did not have the chance to play against these other teams in the beginning of the season as they were trying to figure things out. “He didn’t get the luxury of playing against other teams going through their beginning stages,” Edwards said. It was a bad loss for sure, but the team is still optimistic heading into their last regular season game before the next big mid-season tournament. “We are right there. We are still in a good spot,” Dayfri said. “We are not in any bad place at 5-3,” Edwards added. Now is their chance to hit the reset button and get back to the drawing board for a week of practice and preparation. The coaching staff even put a label on the week as they somewhat head back to boot camp. “This week is going to be a reboot camp. Basically we are going to be rebooting,” Edwards said. Sitting at 5-3, Dallas is currently tied with the fourth best record in the league. Next up, is the 1-6 Warriors Gaming Squad that is better than advertised. “Warriors are a lot better than their record,” Dayfri said. “They lost to the Blazers and Sixers by three.” Both the Blazers and Sixers are the two best teams in the league with Portland just losing their first game of the season last week. “We know what they do and we like our mismatches,” Edwards said. But even though the Warriors have won only one game on the season, don’t think for a second that their leader on the court is going to allow them to look over an opponent. Another wrinkle heading into their matchup with the Warriors is the new update to the NBA2K game that will change some features of gameplay. They call it a “patch”. The upcoming patch is supposed to drop early this week so that teams can practice and adjust accordingly. To some, it could change the game and league drastically. Although the exact impact of the new update is uncertain at the moment, teams across the league are preparing for big changes this coming weekend. But no matter the patches or opponents, the goal of making the playoffs is still there. “If we get into the playoffs, we think we are dangerous regardless,” Edwards said. You can watch Mavs Gaming take on Warriors Gaming Squad on Saturday July 7 at 1:00 p.m. CT on twitch.tv/mavsgg.